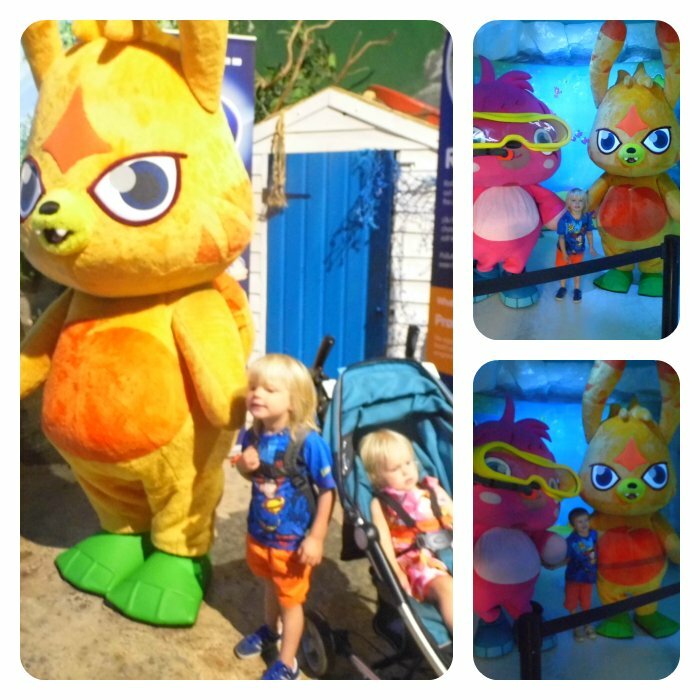 On Sunday 20th July me, my dad and the tiny 3 headed into Birmingham City centre to the National Sealife Centre for the launch of their Moshi Monsters event. My boys like almost every other child love Moshi monsters, even though they are too young to play the game. They also love anything to do with animals be it land animals or sea creatures so I knew that this would be something they’d love. When we arrived all 3 kids were given a hat and a Moshi trail book and told that on their way around the sealife centre they needed too try to find the 6 moshi’s that had hidden in various tanks, and that If they all the moshi’s they would get to a prize of a code to use in the Moshi monsters game online to get an exclusive Moshi monster. They were also excited to hear that they’d have a chance to meet katsuma and poppet at some point too. 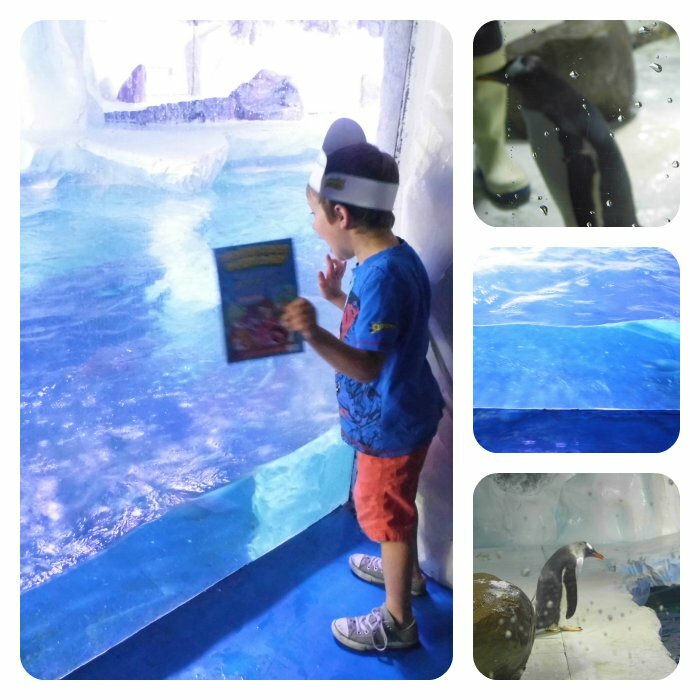 We 1st encountered the penguins which all 3 kids were enthralled by, although JR was concerned that a Moshi monster would have eaten by one if It had been hiding in there. After that I didn’t really get a chance to look in any of the tanks without Moshi monsters in because the boys were so eager to find them. I don’t think that this is a negative because they at least looked in all the tanks and asked what was in them, which is probably age appropriate for them. Whereas I’d like to get time to read all the information boards – although that’s highly unlikely to happen for a good few years yet. There was also a chance to swap and moshlings that you may have, with various rules as to how many of each type ( common, rare, ultra rare) equal another. Unfortunately the tiny 3 have only got a handful of moshlings and no doubles so we didn’t take part in this particular activity even though it did look like a lot of fun. There was also the opportunity to have a photo taken in front a blue screen so that it looked like you were snorkelling under the sea with the Moshi monsters, and you can buy your photo at the end of the attraction. We meant to go back and have our photos taken as there was a queue and JR was bursting for the toilet, but we were so excited to see the rest of the fish that we forgot to go back. 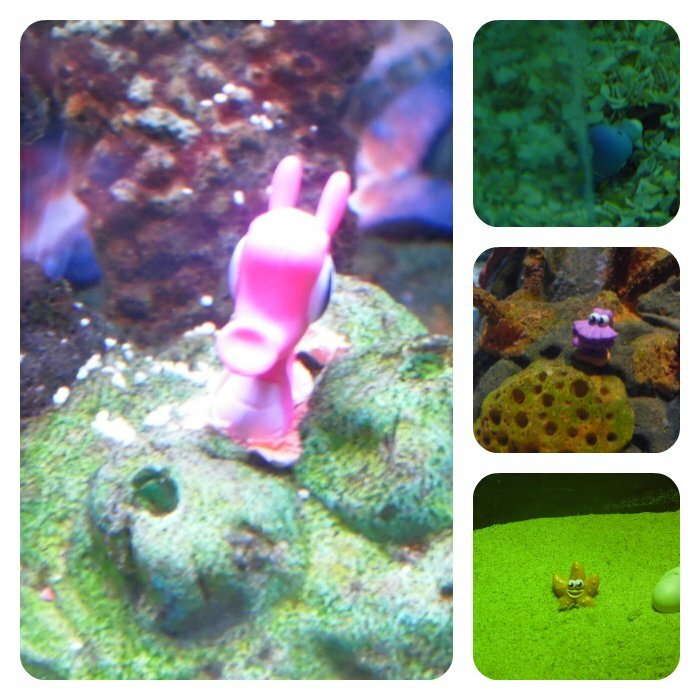 If you have little Moshi monster fans at home I highly recommend a visit to the sealife centre Birmingham this summer, the Moshi monster event is running between July 19th and August 31st. Disclosure: I received a free family entry into the national sealife centre Birmingham for the purpose of this review, however all words are my own.